Oh where to start? I fell in love with Juju's loops the second I laid eyes on it and bought it immediately. I knit up the Cedar Shake Mitts, and a matching cowl early this summer. I even found a sample of Brown Eyed Susan in a knitting shop and it was divine. 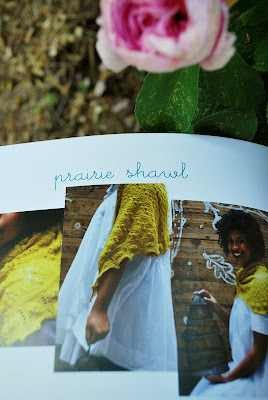 When I found out that the Girls in Sheep Clothing were doing a Loop KAL, I was all about it. But which yarn to choose...with so many options? I have to admit that the yarn sort of chose me. I am one lucky girl, because five minutes from where I work is an AMAZING resource called the Minnesota Fiber Guild. There is a gift shop, an art gallery, a library, and it is the residence of the Weaving Guild. Wow, Anything you could ask for! There is even a bargain bin full of delicious yarn, and there was some Jaggerspun Wool Silk that felt like it was waiting for me. I dyed it a pink-coral color, and we have both been waiting patiently for today. Without further ado, here it is! I included the before, the after and the inspiration. I've been waiting til just the right moment to introduce you to a teeny new friend. She's terribly shy and until now wasn't sure how she felt to be in America. She had an awfully long journey across the sea but finally arrived safely, although with much trepidation, a fortnight ago. We've been becoming acquainted, Miss Emma and I. She's told me delightful stories about the village she came from in Brighton where she had many, many lovely friends. Sadly, some left before her and then one day it was her turn to say goodbye to her wonderful caretaker, Melodie Stacey . Yesterday, when she met a new little friend, Copter. Copter is a dog that looks like a bunny with his ears, oh, so long. Copter came to live at my house one day this year when he got into an Easter package that Kelli gave me and wound up far from home, also. Emma and Copter have become fast friends and are so very glad to have each other's company. Emma decided that this wasn't such a very bad place to be after all. Last night as the sun was going down and the day was being put to rest, some wonderful news arrived. all the way over on this side of the pond. Emma could hardly sleep last night ~ she was so overwhelmed with a feeling of finally being home. Dearest Little Bea and Mork ~ I think if you look closely you can see that Emma is looking down at you and smiling at your photo below! This is my hand dyed that i did myself. 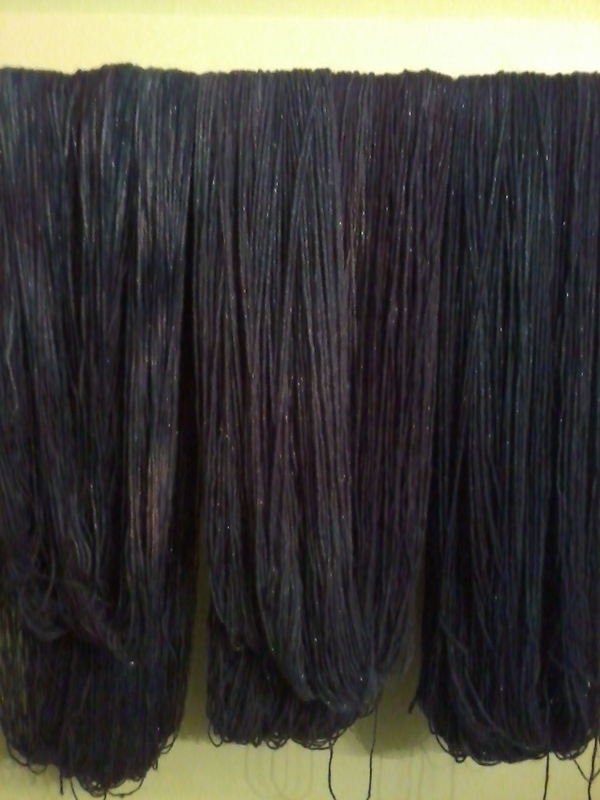 I'm sorry it is not a great picture the colors are a deep marine blue with bits and pieces of blue violet and violet. and all the sparkling tidbits of sterling. So now there is not too much of cliff hanger anymore. I just know that the finished product will be wonderful. I cannot wait to start this amazing trip will all the new people and the one person I already know. 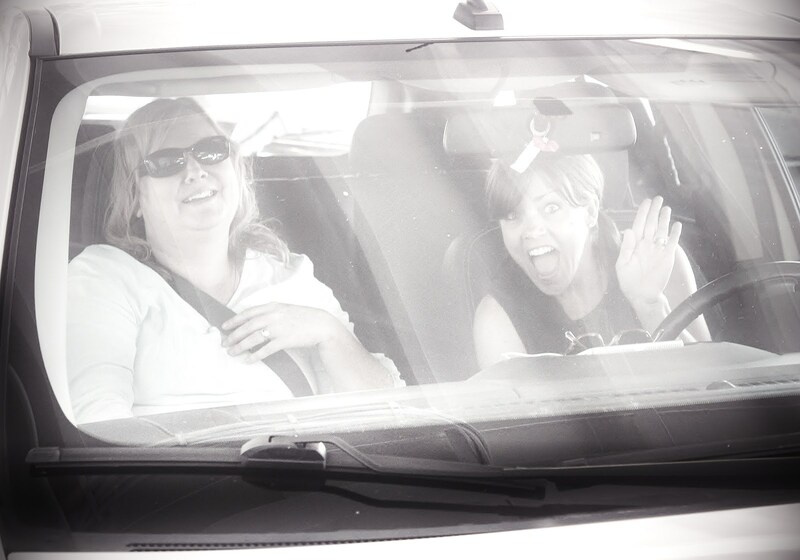 Thanks to Kelli for letting the lace bug bite and to everyone else on this open road of fun. Greetings all, Morgen here just checking in. I have my yarn chosen (from stash, yea me! ); Fleece Artist Sea Wool in a raspberry color. It is actually a lighter color than the picture shows. I think it is a true raspberry color. I have the pattern printed out, but I have not yet colored in the charts, so will do that tonight. I have dug out size 4 needles, although I will probably play around and swatch some tonight to make sure that I like this yarn in lace on that size needle. 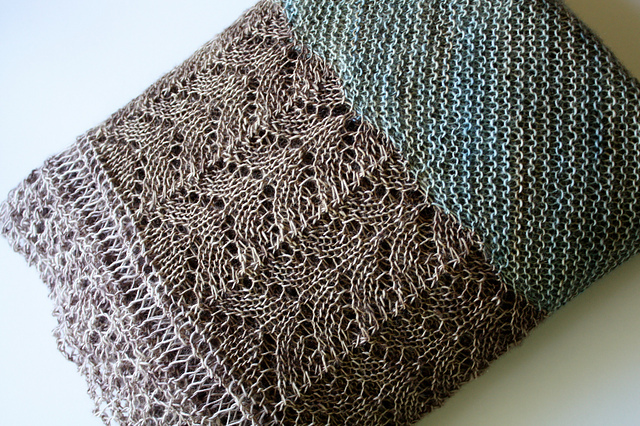 I tend to like my lace knit at a tighter gauge as well. I am also working on a sweater for the Knitting __lympics, so while I plan on working on Prairie every day I don't expect to pick up steam on her until after the 12th of August. I hope all is well with all of you and I am very happy that the start of this KAL is finally here!!! I can hardly wait to see what yarns and colors you all have chosen! Thank you Blog Mistress Melissa for reminding me to check for errata. I never would have remembered and I think you saved me heaps o' heartache! ANOTHER good reason for knit-a-longs; other people watch out for your back! Tomorrow is the big day! Are you ready to cast on Kelli, Kelly, Kimberly, Morgen and Pamela? Don't forget to get the little bits of errata before getting started ( here's the link again if you need it ). And if there's someone reading this that wants to join, it's not too late! It only takes a minute to add you to the group so just let me know! It was fun knitting this with everyone watching everyone knit this while mine sat in my knitting basket for 7 months. I guess it's not really a 'knit along' if you don't knit along, right? I haven't been able to get a true picture of the color yet. 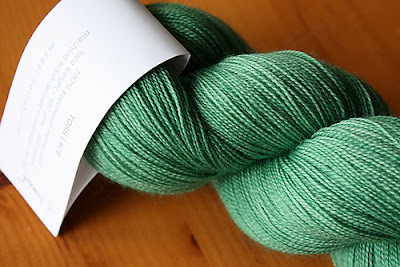 I'm going to do the lace weight version of Prairie and I'm using Madelinetosh Tosh Lace in 'Clover', which is a bright, happy shade of green. 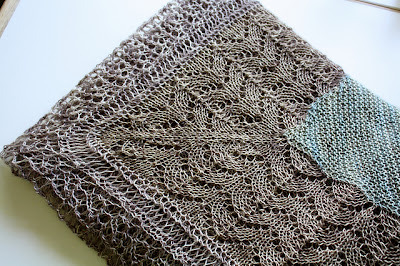 I usually like to use a US4 or US5 needle with my lace but since this shawl has nupps I'm going to use a US3 since I like them nice and tight. When you use a fine yarn on bigger needles they tend to look a little loosey, goosey (just my opinion!). 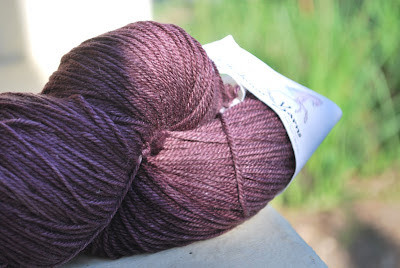 Can't wait to see photos of all your yarn choices and especially Kimberly's hand dyed yarn! I'm excited to knit with you all and I should let you know Kelli is also, even though she hasn't chimed in for awhile. She's having problems with her google log in that she's hoping to have fixed soon! My rav site is full of bugs that won't let me edit projects right now, so I'll just have to share my excitement on the blog (shucks!). Bridgewater is blocked and drying ~ hopefully it doesn't take more than the day since I had to pin it to our bed. I don't relish the thought of sleeping on the floor tonight...that would be a crummy way to spend our 18th anniversary (can I get a whoop, whoop!!). Isn't it gorgeous??? The center square looks like a calm tidal pool with not a ripple to be seen. The yarn was amazing to work with (as usual) and blocked easily. Preblocking the shawl measured 34" x 34" ~ I blocked it to 48" x 48" (I could have blocked it bigger but liked how it looked at this size) and I think it will probably relax down to almost the exact pattern finished dimensions. My Bridgewater is finally off the needles. Tomorrow it's time to weave in ends and block her. I feel like the last person to finish a marathon....I took so long that everyone has gone home and mine is the only car left in the parking lot. and a triple batch of To Die For Blueberry Muffins were baked from the leftover berries for my husband to bring to work (I asked him to please not bring any leftovers home since I would eat them but not to worry, he phoned me and said they were devoured by 10am!). I tweaked the pattern recipe just a little ~ I used regular size muffin tins (a triple batch made 24 filled-to-the-brim-with-batter muffins), baked at 375 degrees for 25 minutes, and substituted a sprinkle of Turbinado sugar before baking in place of the gut-busting streusel topping). It's Dinner in the Eiffel Tower Shawl that I'm knitting along with Kelly Lightbeam while we're waiting to begin our July 31st knit along. The pattern calls for dk weight yarn and I'm using lace weight so there are some modifications I'll have to make to get a shawl large enough to wear...which means adding at least one increase section and thanks to EZ, I at least know where that increase now needs to be, even if I don't know exactly which sections I want to repeat, and where, to maintain the integrity of the design. This is fun!!! 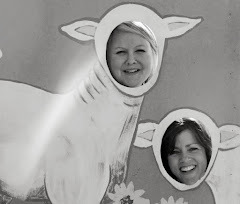 I've also been getting our newest guest bloggers for the upcoming Girls in Sheep Clothing Anniversary Knit Along up and running as authors on the blog so they're able to officially join in the fun ~ I've already mentioned Kimberly and as of yesterday we've added blogger number SIX, Pamela! 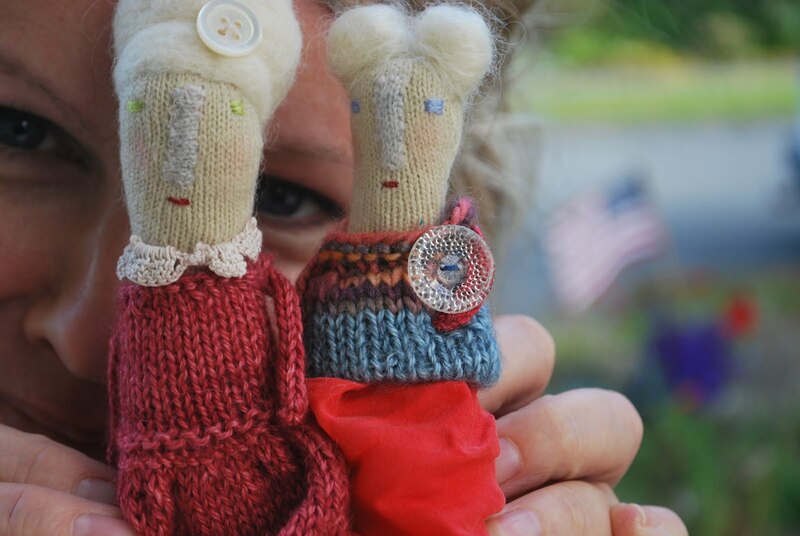 I'm so excited that she's decided to play along since she's declared herself my official stalker on Ravelry and she's a wealth of knowledge and alot of fun! This is getting really exciting and I'm looking forward to our cast on date of July 31st with more anticipation every day! There's still time to join ~ the more the merrier ~ just let Kelli or I know if you're interested. And it just got a WHOLE lot easier to get started since Kelly Lightbeam, with her past experience of guest blogging, was nice enough yesterday to post a very useful tutorial for logging on and getting started once you've received your official invite to join. That's it for now. I'm well rested ~ my husband made a thermos of French Press Italian roast coffee for me and let me sleep in this morning before heading out to look at new computers so the day is starting out so good! He's making dinner tonight (bonus!) ~ homemade taco-truck-style carne asada tacos (and they are dang tasty!!) ~ so no cooking for me today! Just a few chores and working the edging of my Bridgewater shawl closer and closer to the grafted seam.....I'm sooo close! I have no picture to post today. 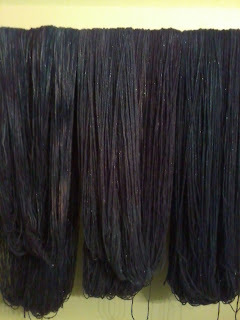 But I have decided to use Kraemer Sterling and hand dye it but have not decided on the color. 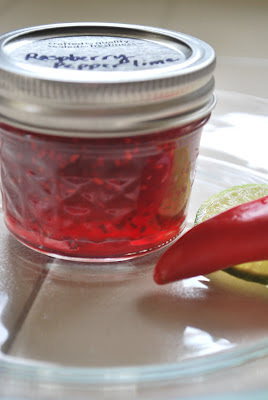 I am just pleased as peach that I have figured out how to post on the blog. Makes me want sugar cookies and milk. 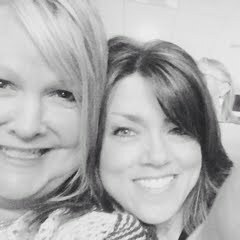 Posting as a Guest Blogger ~ a post by guest blogger Kelly! As requested by Melissa, I am going to guide some of our newest guest bloggers through the process of posting onto the Girls in Sheep Clothing Blog. First of all, you should receive an email from Melissa, inviting you to be a guest on this blog. From what I remember, there is a link in that email that you must click on, and it will set you up as a guest blogger. Second, you must sign into your own blog. Once you are signed in, you will scroll down the main page, "The Dashboard", and you will see that there are two blogs to choose from. Click on the orange tab next to the Girls in Sheep Clothing blog that reads "Create New Post". Voila, you are here! You must choose a title for you post, and begin your blog entry. You can add photos and play around with how you want the page to look. Remember to have fun! When your post is complete, click on the orange "Publish" tab. If you forget to add labels to the post, Kelli or Melissa can add them for you...which has happened to me on occasion! A warm welcome to all of our new friends! sunrise this morning ~ yup ~ I didn't sleep much! I was up before dawn this morning on webmd making sure I wasn't dying....did you know that if you eat alot of fresh farmers market beets for dinner, your pee will be bright red the next day (too much information???). I was so glad to learn this was the case and I didn't need my husband to rush me to the ER. Instead, I took advantage of the fact that the camera was sitting next to my computer and took a few pictures of ole Mr Sunshine raising his sleepy head after putting on quite a show last night. And knowing you could care less about the color of my pee, the real reason I popped on tonight was to welcome a new blog guest for our upcoming knit-along. Her name is Kimberly, and she brings our number to 5 (Kelli, myself, and guests Kelly, Morgen and Kimberly). There's still plenty of time to jump in on the fun ~ we don't cast on until July 31st ~ so if you're interested, just contact Kelli or I and we'll add you as a contributor so you can post along with us while we work on Prairie and watch the Olympics and celebrate Girls in Sheep Clothing's 2 year blog anniversary. I'm excited to have our past knitters join us again and also for someone new to join us. We'll have so much fun as usual! Summer is definitely here ~ everything is blooming and green and fragrant everywhere you look and smell. We've been plagued by east coast type weather the last 3 days ~ thunder and lightening almost 'round the clock (poor cowardly Dozer!) 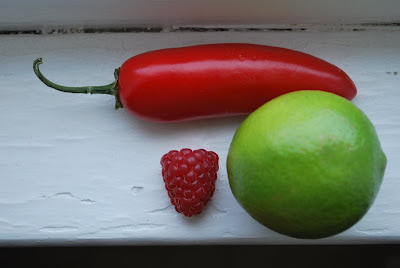 ~ but the rain at least held off long enough for me to make my first trek this season to the Edmonds' Farmers Market. It's us! Girls in Sheep Clothing has a blog-anniversary coming up at the end of the month! It will be 2 years July 31st that Kelli and I started this blog ~ there have been canning parties, county and state fairs, speaking engagements(! ), retreats, train rides, family functions, loads of new friends, much laughter and lots and lots of knitting ~ my how time has flown by! 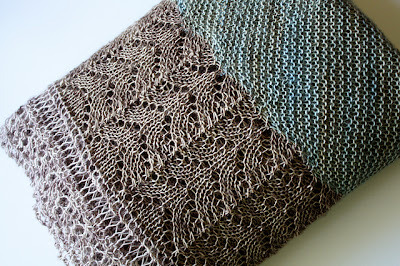 And to go along with our annual New Year's Day knitalong ~ and we've got a few of those under our belts ~ we've decided to add a mid-year kal to celebrate the anniversary of our blog adventure. Who knows...this might just have to be a regular thing! 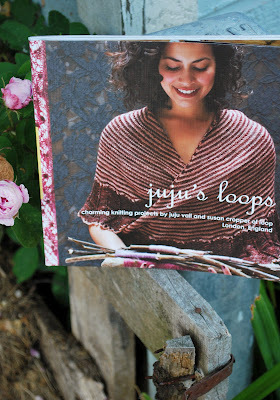 After a few hours going back and forth trying to decide what we should do, Kelli and I (with some additional help from past guest blogger ~ Kell-y with a 'y') settled on a triangular lace shawl from the book Juju's Loops by Juju Vail and Susan Cropper. It's a fitting choice, with both the book and the summer Olympics this year originating in London, England. The book is currently in 2nd edition print and should be hitting stores in the US 'anyday' (or so I've been told!). So, if you're not lucky enough to own a copy or know someone that does who might be so nice as to lend it to you for this kal, check with your lys and see if they'll be stocking it. Unfortunately, when we chose the pattern, we didn't realize that you couldn't purchase it online individually but for future knitalongs, we'll keep that in mind! The pattern we chose from the book is Prairie (this link will take you to the Ravelry project page so make sure you're logged in!). 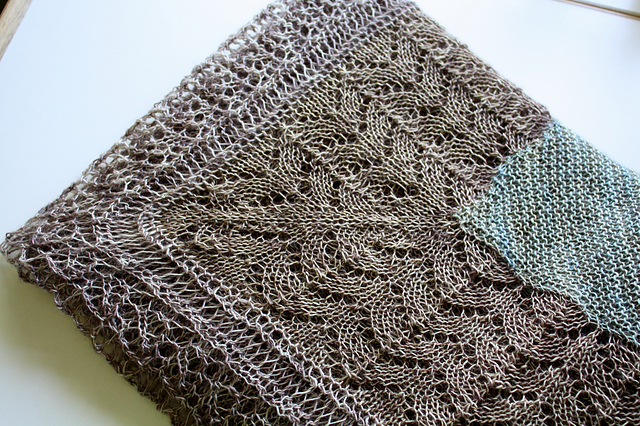 There is just a bit of errata for this knit which can be found here on LoopKnitLounge , so make sure to make any corrections to your 1st edition copy before getting started. If you're lucky enough to pick up the 2nd edition before the end of the month, I've read that they've tried to correct all the errors throughout the book and not just on this shawl. My fingers are crossed for the new books at my lys before our cast on date of July 31st, otherwise, I'll be borrowing a copy until I get my own. So, if you're interested in joining us, please let us know! Contact either Kelli or I on Ravelry (each of our 'about me' page links are on the blog sidebar to the right) and let us know that you want to knit with us and we'll let you know what we need from you to add you to this blog as a guest poster. Then you'll be able to blog along as we share yarn choices, answer questions, encourage each other and post photos. We've made some good friends over the last few years with our knitalongs and we're looking forward to maybe making a few more!